Ca' del Bosco's vineyard. Photos courtesy of Ca' del Bosco. The next time wine is on your vacation agenda, consider Franciacorta, the Italian bubbly you should already be drinking. 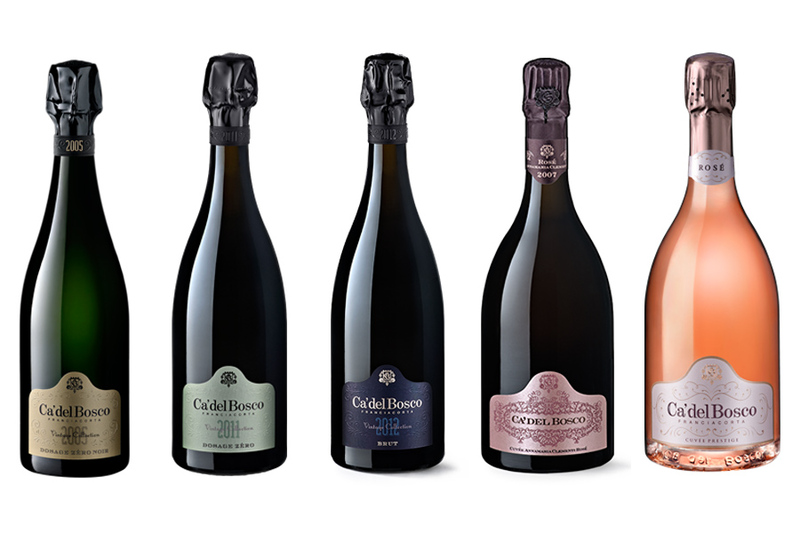 If a visit to premier winery Ca' del Bosco isn't an option today, ordering a few bottles to see what the fuss is about certainly is. Fathom's Erica Firpo gets the scoop from the globetrotting vintner in charge. FRANCIACORTA, Italy – For years, I've been swigging, I mean, singing the praises of Franciacorta, the best of Italy's bubbly lineup, which includes Prosecco, Lambrusco, metodo classico, and Asti spumante. I like them all, but not all the time. Prosecco is fine for an office party, but just thinking about it gives me a weird hangover. Lambrusco is quirky, a red sparkling wine that should be the ideal hipster drink. As for spumante, it reminds of Cheryl Tiegs and 1970s. Franciacorta, which falls into the metodo classico category, is, quite simply, divine. Let's pause for a quick wine lesson: Metodo classico is a fermentation tradition that closely adheres to the traditions and technique of mèthode champagneoise, the champagne method of in bottle-aging and second fermentation. Great Franciacorta wines have tight and subtle bubbles, with an aromatic, feathery taste on par with top champagnes, leading some to call it Italian champagne. But by law, nationality, and taste, it is absolutely not champagne. Franciacorta is made under the Lombardy sun, a tiny, 7000-acre territory in the Brescia province, where horseback riding rivals grape growing for things to do. And if champagne is considered imperial nectar, I'd say Franciacorta is Dionysis' very own laughter, corked up in a bottom-heavy bottle. And here's the key: You can drink it with anything. A region of wine and horses. Photos by Erica Firpo. 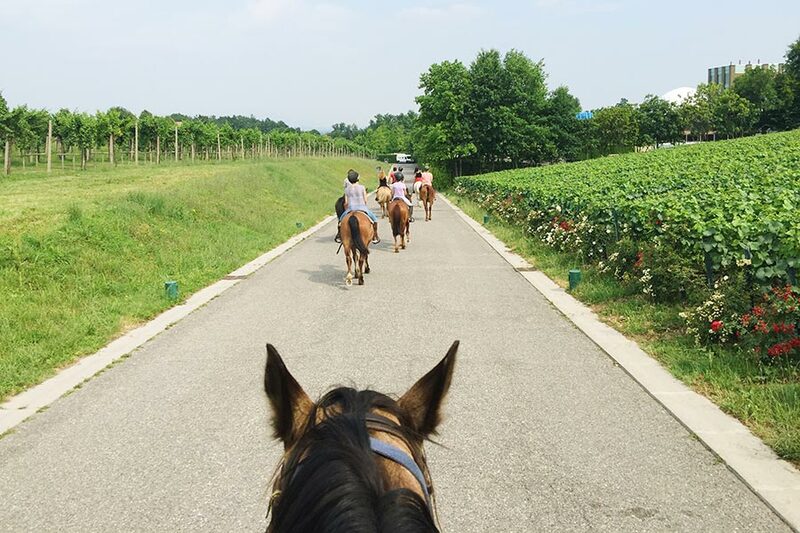 A while back, I headed to Erbusco, the epicenter of Franciacorta, for a long weekend of full sparkling wine immersion and horseback riding. Somewhere along the trail, I met Maurizio Zanella, president of Franciacorta Consortium and founder of Ca' del Bosco. Zanella is what Italians would call a personaggio, a personality so distinct that all you have to do is say his last name to make your point. 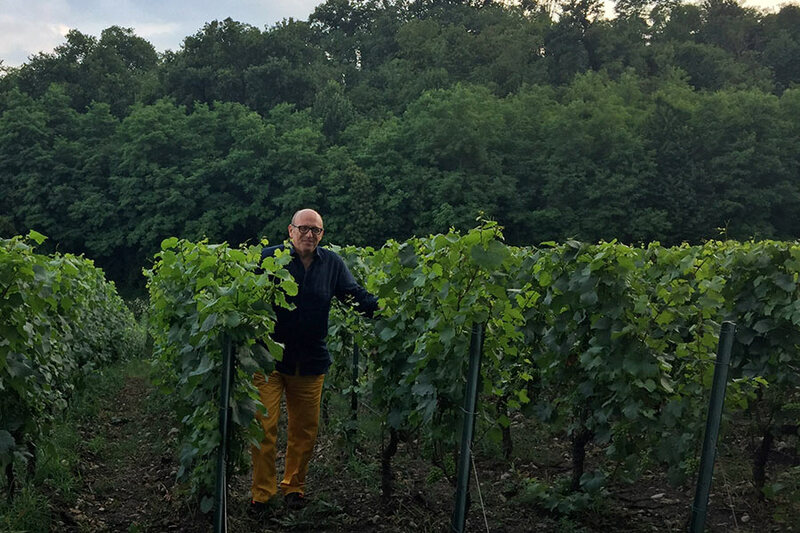 For the past 46 years, Zanella has been quietly pushing Franciacorta and its region into DOCG greatness, building up his labels and at the same, transforming his winery into an open-air art gallery and a 21st-century gastro-roundtable. His 400-acre organic fiefdom is undeniably beautiful: vineyards, state-of-the-art winery, and atmospheric cellar set into the rolling, green hills of the Brescia region. 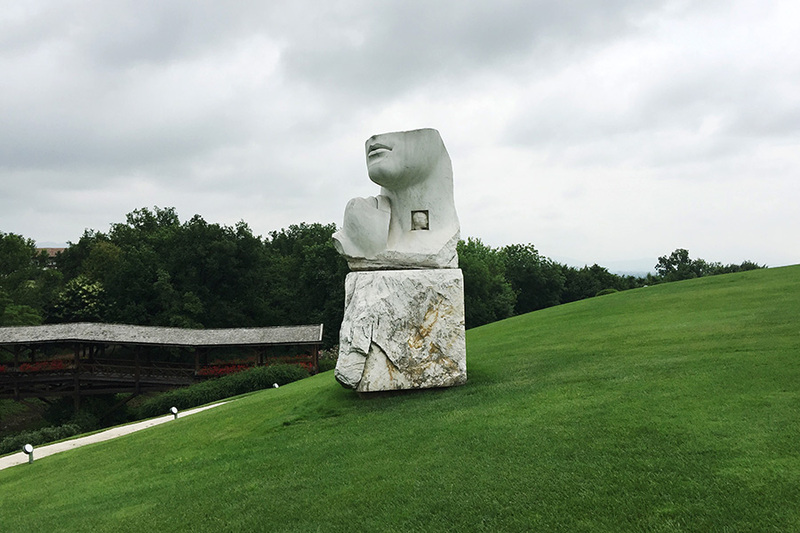 Amid the green landscape are site-specific art installations: monumental sculptures in bronze, marble and recyclable plastic by such international artists as Arnaldo Pomodoro, Zheng Lu, and Cracking Art Group. In the past few years, Zanella commissioned eleven photographers and artists, like Helmut Newton, Mimmo Jodice, and William Klein, to capture the vineyard in film. These life-sized black and whites are showcased throughout the winery. But food — and by proxy, restaurants — are Zanella's passion, just after his children and maybe right before his winery. 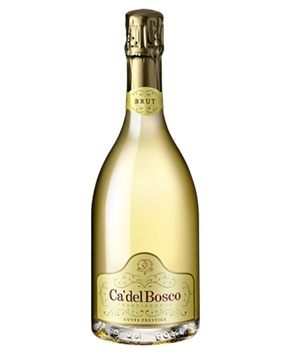 When he is not onsite at Ca' del Bosco, he's out and about, exploring Bergamo, Milano, Ibiza, Miami, and more. Zanella's life is an overbooked agenda of world travel, combining business meetings and tasting with restaurant openings and food-cations. And he's not alone. Most of the time, he travels with a culinary gang — chefs, restaurant owners, foodies, gallerists, and even soccer players — hitting the best restaurants and local joints everywhere they go. Eventually, they all end up back at Ca' del Bosco and Zanella's inner sanctum, a cozy, dark lounge filled with bottles, lots of bottles, and more art. Which is where I find myself, staring at chef's aprons signed by his friends — Italian superstars Massimo Bottura, Enrico Cerea, and Carlo Cracco, among them — asking Zanella about favorite meals. He's coy, but he does give me a meal-of-a-lifetime tasting menu, table-hopping among Italy's Michelin star chefs, whose dishes he would — of course — serve with his wines. "Eroi di Luce" by Igor Mitoraj. Maurizio Zanella, Ca' del Bosco founder, in his element. Massimo Bottura's autobiographical and (by now) notorious take on the pasta pride of the Emilia Romagna region: six seemingly simple and traditional tortellini in broth, which Zanella pairs with Cuvée Annamaria Clementi, a Franciacorta dedicated to Tanella' mother. The nearly century-old restaurant makes the best pumpkin tortellini in Italy. Full stop. Heinz Beck's innovation — his carbonara is off the hook! — lures Zanella up to Beck' hilltop restaurant time and time again. It just doesn't get better chef Annie Fèolde's guitar-string spaghetti. To say nothing for Pinchiorri's legendary wine cantina. A proper Italian secondo: an exquisite veal cutlet. As for my favorite dish to eat with that golden nectar, it's oysters. And then pizza. And Zanella agrees. Franciacorta goes with everything. 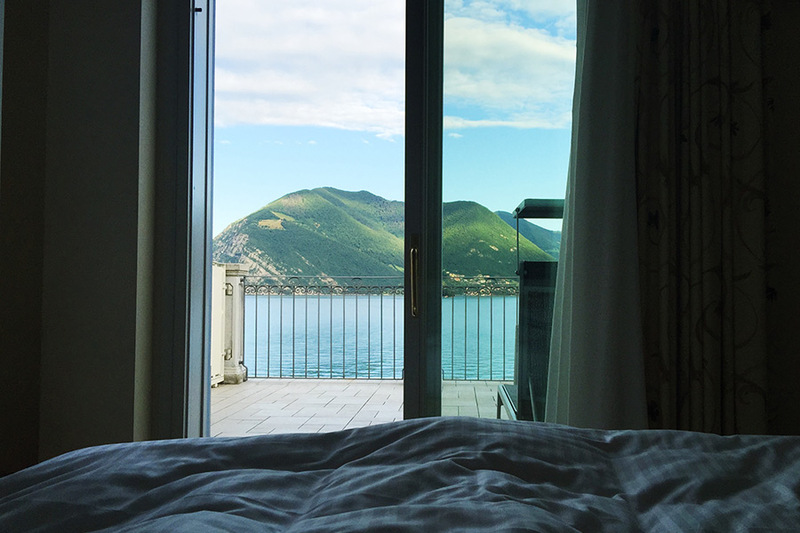 The view onto Lago Iseo from Rivalago Hotel. Ca' del Bosco opens their doors to everyone, including dogs. 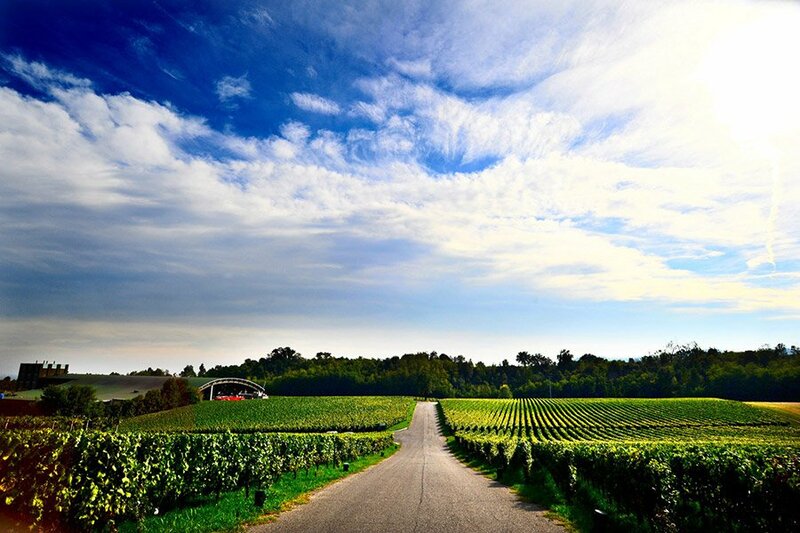 The vibe is very laid-back and extraordinarily friendly, but I'd make the most of it by perusing the wine tours on Visit the Cellar and reserving. I'm partial to the Pieces of Art tour. Yes, you can take a train, but you're going to want to have your own method of transportation to get around the area. The best strategy is to rent a car and drive practically due east from Milan to Brescia and then Erbusco. You'll pass gorgeous Lombard greenery for the hour-long drive. Just try to stop yourself from pulling over for a selfie at each kilometer along the Strada del Franciacorta. For absolute pampering, L'Albereta, spa resort owned by the Moretti family, producers of another top-notch Franciacorta Bellavista, and very much in the center of their vineyards. Slightly further done the road along the late is Rivalago Hotel. 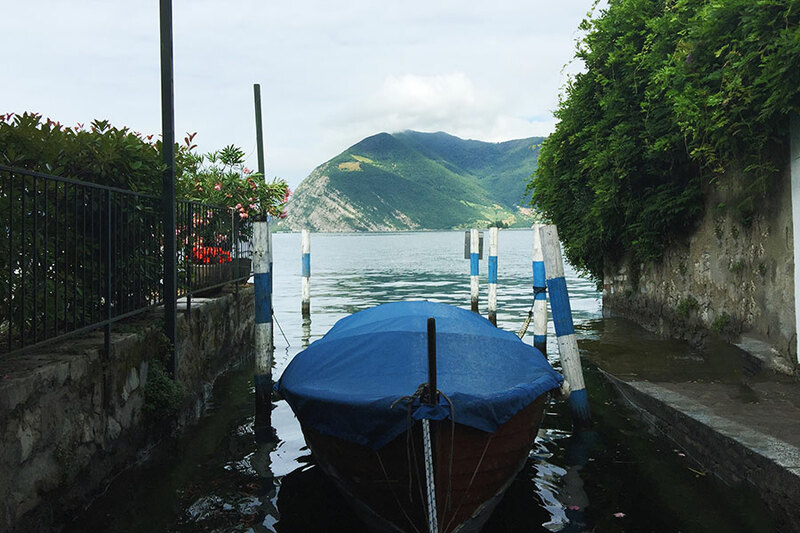 The view of Lago Iseo is entirely meditative. Palazzo Torri is the choice for history. For a low-profile-stay deep in the terroir, I'd book a stay in any of the Franciacorta consortium's suggested agroturismi, which range from rustic to stylized. You don't have to go to Italy (though you totally can) — the wines are available on amazon.com.